Offer students a lesson in electric circuits, voltage, and resistance while providing an engineering building project. 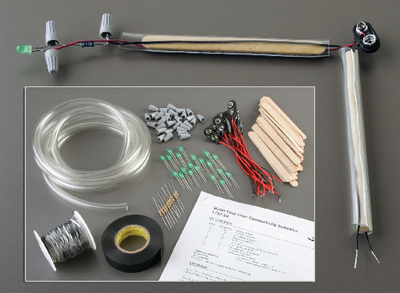 This kit contains materials that enable students to build their own conductivity indicators. The versatile devices can be then used to test solutions or solid objects.